These are Brand New and never opened. Please note these are 4th Generation NOT 5th Generation. 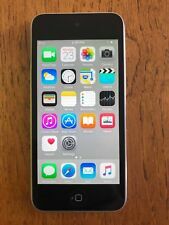 eBay.com.au Ipod Touch 6th Generation 16gb Space Grey. Brand New. Warranty From Apple. Hi all, I am selling a brand New iPod Touch 6th Generation (current generation in Apple stores), 16gb in Space Grey. This is an unwanted gift and therefore I am selling it. Proof of warranty available on request. Warranty until 26/06/2018. Send me your best offer or buy it now. Postage and pick up available on request. Bank account transfer preferred. Any questions, just let me know!